Photographs of 3,500 recipients of help from the Royal British Legion have been put together to recreate a vast poppy to publicise an initiative by the charity. 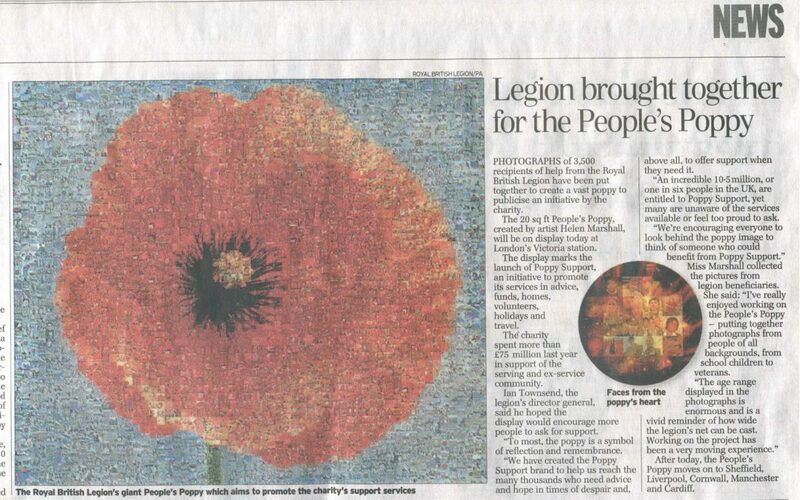 The 20 sq ft People’s Poppy, created by artist Helen Marshall, will be on display today at London’s Victoria station. The display marks the launch of the Poppy Support, an initiative to promote its services in advice, funds, homes, volunteers, holidays and travel.